Add features to your theme with our EasyCart widgets for searching, filtering, newsletter, and more! As many of us enter the holiday selling season, add a few extra features to your website that make it easier to search, easier to navigate, easier to market your product! 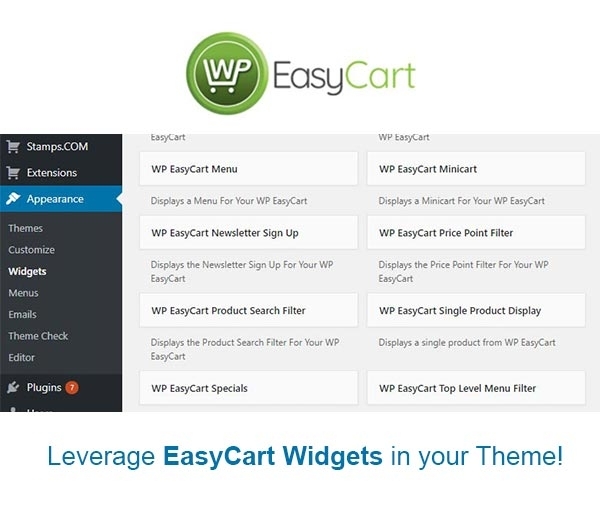 The WP EasyCart widgets are a great way to add some new features to your website with an easy to use WordPress drag and drop widget system. Visit your WordPress Admin -> Appearances -> Widgets to get started! Widgets allow you to add a variety of features to most sidebars and menus in WordPress. Where do you add widgets? Simply go to wordpress admin -> Appearances -> Widgets and drag'n drop widgets. Can you add widgets to a menu, footer, or sidebar? Yes, but it depends on your theme. Most themes allow you to add sidebar designs to your pages, but GREAT themes allow you to add widget areas to pages, headers, menus, footers, and other areas. The theme controls where you can place widgets, so contact your theme developer with regards to widget placements! Do we recommend any themes? Yes, we love several themes on themeforest, such as the 'Enfold' theme. Check out our themeforest collection here that we enjoy using in our projects. Are widgets available in all EasyCart versions? Yes, we offer widgets in our FREE, Professional, and Premium editions. Try EasyCart for free today! Want to try EasyCart for FREE? We offer an automatic PRO trial system now that you can easily test-drive our system with. 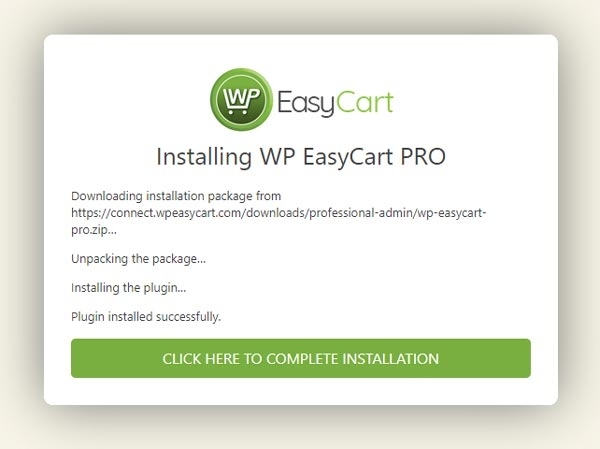 If you are a FREE user, or just want to try EasyCart PRO today, follow these easy steps to instantly download and install with our automatic installer. Step 1: login into wordpress admin -> plugins -> add new. Step 2: Search for 'EasyCart' and install FREE ecommerce plugin. Step 3: Click WP EasyCart -> Registration and install PRO! That's it! You can start selling in minutes with our new automatic PRO installer.